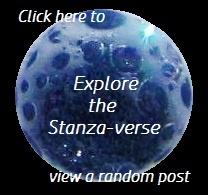 “Rued” Awakening | What Rhymes with Stanza? This entry was posted in creativity, daily prompt, poetry, technique and tagged alarm clock, awakening, curtains, NaPoWriMo 2018, poetry challenge. Bookmark the permalink. Ohh, I wasn’t thinking that. Yours was up before mine. But I wasn’t copying either! 😀 They made us that it! Thanks. She’s likely to doze off again at any moment, though.